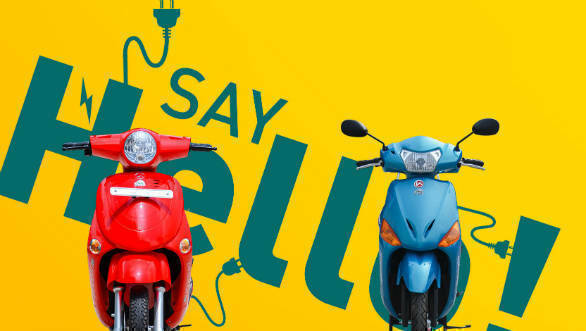 Hero Motocorp, through its EV arm Hero Electric, will launch a number of new products this financial year. There are rumoured to be as many as 8 or 9 new all-electric models with the most anticipated being the AXLHE-20 codenamed high-end bike. This scooter is expected to be powered by a 4,000 Watt motor that produces peak power of 6,000 Watts and should reach speeds of up to 85 kmph. A range of 100-110 kms can be expected. The AXLHE-20 will be the flagship of the Hero Electric line-up as of now. This will be the top bike in Hero Electric's High Speed range of bikes which also includes products like Nyx, Photon and Photon 72V. The Nyx is available at Rs 55,490 while the Photon 72V costs Rs 49,490, both Delhi prices. Hero Electric's other line is the Super Economy series which includes the Flash, Cruz, Optima, Nyx e2 and Optima e2 models. The company is on this product offensive to meet its goal of selling 90,000 scooters by the next financial year. The company sold 30,000 scooters last year. The company also plans on spending Rs 500 crore until 2022-23 to increase sales to six lakh units. The company's targets are not overly enthusiastic. The electric scooter market has barely developed in India and a large amount of untapped potential is present. The push to green mobility options by both the government and manufacturers should educate buyers and help increase demand for such vehicles.